One of our family traditions is Hong Kong Eatery (BMH’s review of Hong Kong Eatery Revisited, Visit 1). One of our father’s favorites. Despite trying the Quincy location, he still loves the small, Chinatown original. 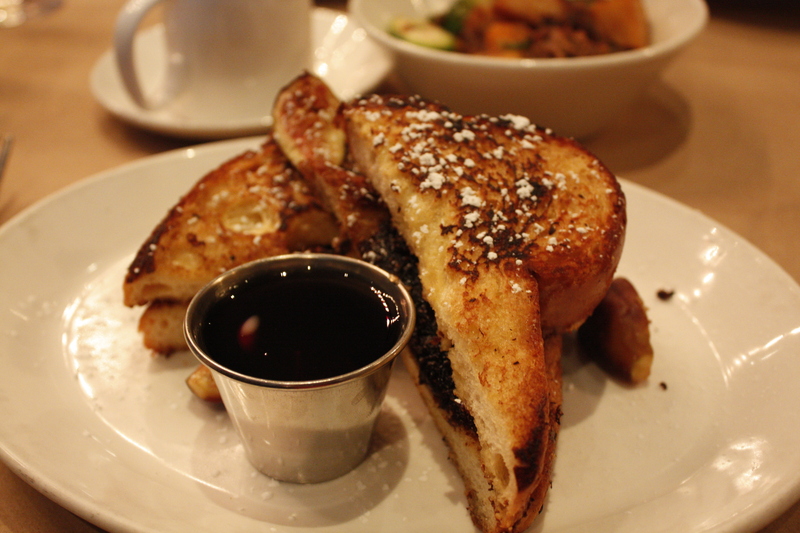 The restaurant is always buzzing with a mix of single diners at a shared or community table and lots of families. We really wish we knew Chinese, and could understand the specials and items on the mirrored wall. 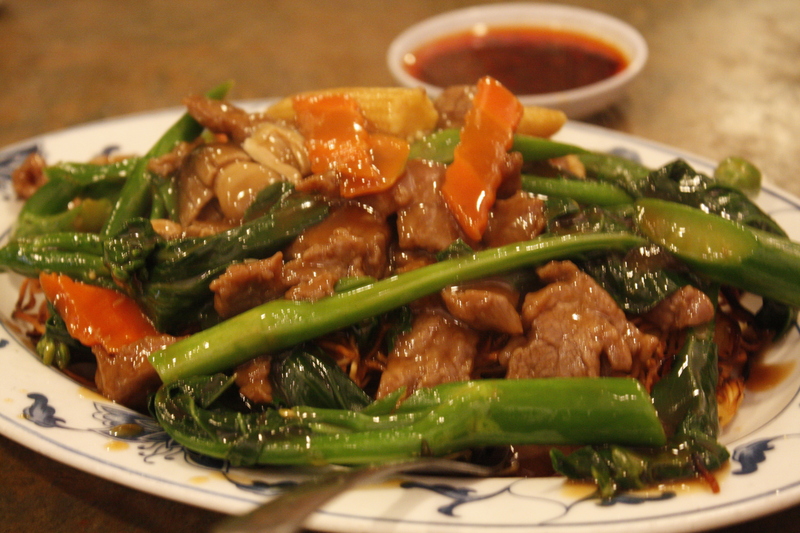 We started with an order of Stir fried beef Ginger & Scallion, a father’s choice for $8.75. This dish is as aromatic as it gets. 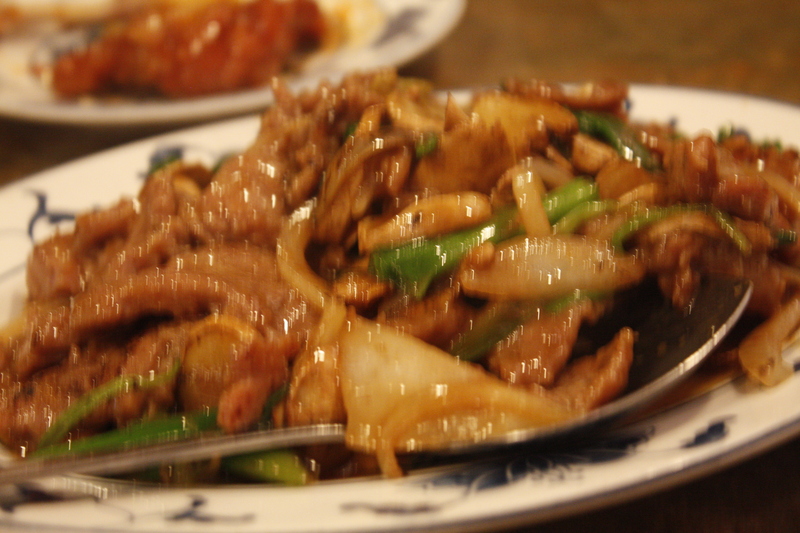 The beef was so incredibly tender, the onions and scallion were translucent and glistening. All in all the ginger flavor was strong and had a bite, but went well with the sweetness of the tender beef. Must get. Another father order was Sweet and Sour Pork for $8.50. 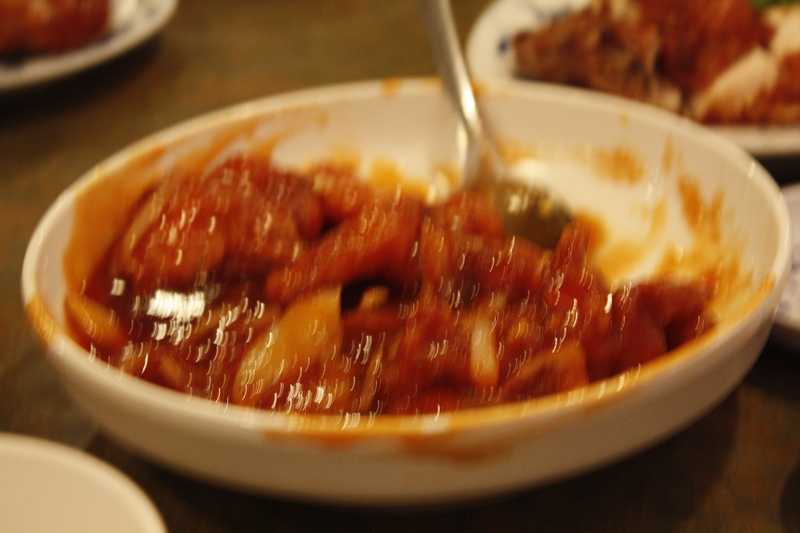 The pork was fried and then enrobed in a thick sweet and sour sauce. The sauce was tangy and went well with the bits of onions and veg. One of our favorites of the meal was the square bean curd with a center of pork and shrimp filling served with a five spice soy sauce. The tofu was nice and pillowy and had absorbed some of the the flavor of the shrimp. 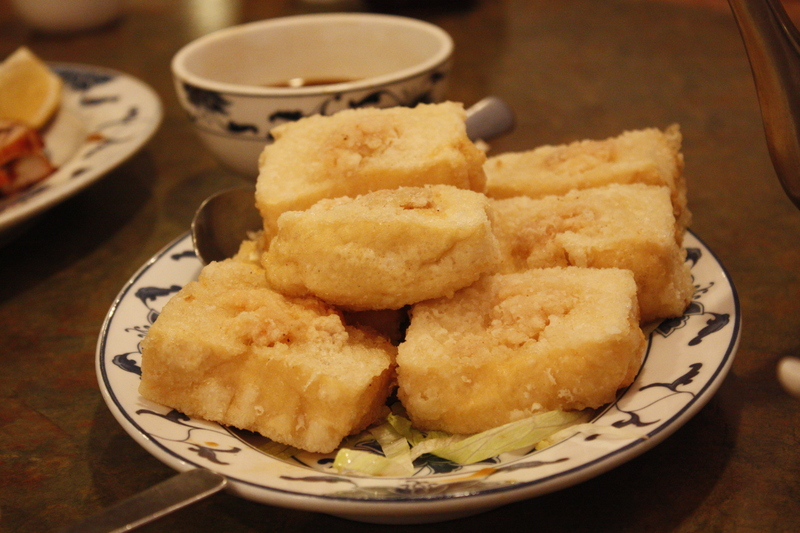 Toe coating on the exterior of the bean curd was lightly fried and the textural contrast was killer. 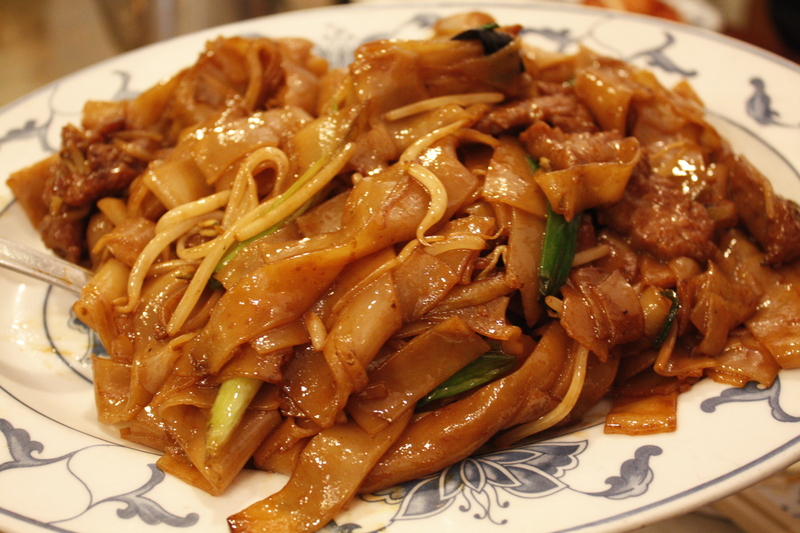 A friend favorite is the Beef chow fun, dry fried with sprouts, scallion, flat noodles and salty soy goodness. Great combination and hard to not have second helpings. 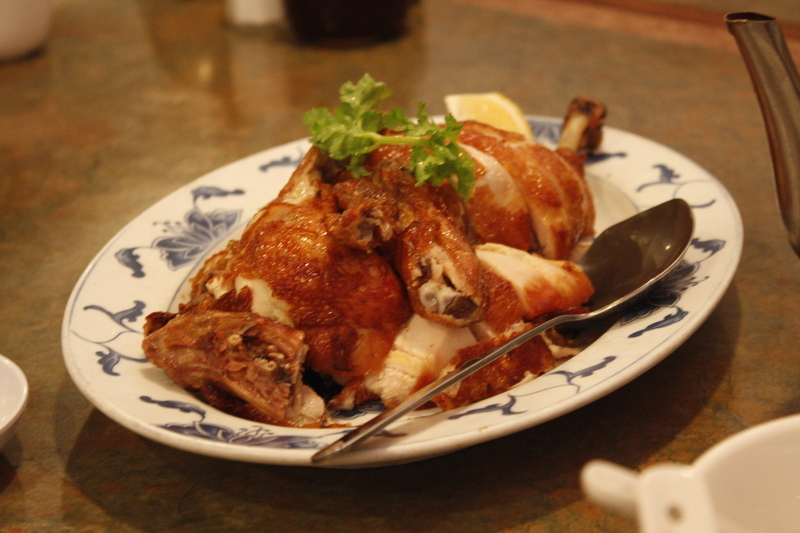 You know its a good dining day when you have Hong Kong Eatery’s Half Roasted chicken for $8.50. Upon descending the restaurant’s entrance, one notices the window display of all the roast pork, peking ducks, soy chickens and roasted chickens. This one is tender and has a nice crust. 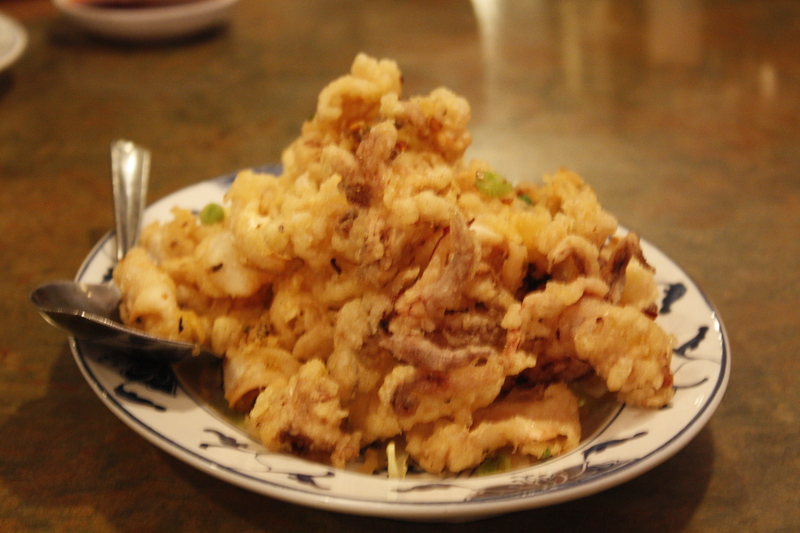 Another family favorite is the salted fried calamari squid with tentacles! There is a nice salty flavor which brings out the calamari’s essence. You can’t beat the tentacle texture as well. 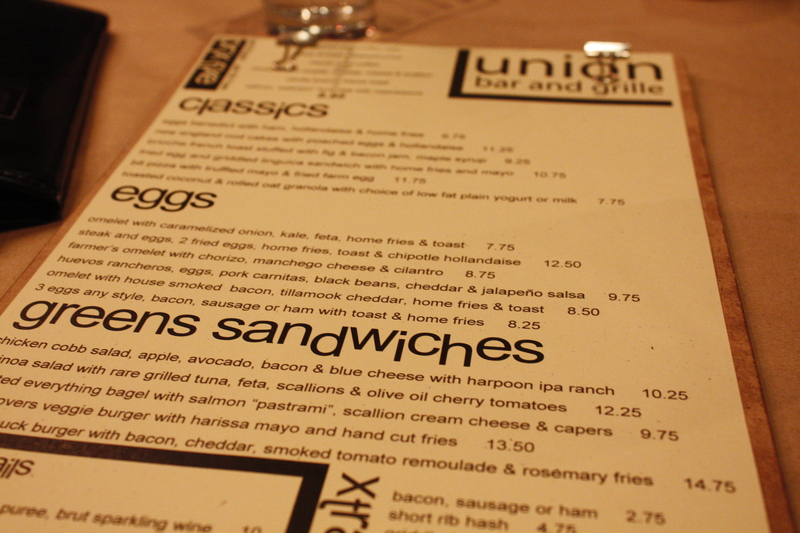 Our little brother’s favorite, and one of ours is the Beef and Chinese broccoli chow mein for $5.50. The thin yellow noodles are fried and covered in the gravy. Bits of carrots, baby corn and chinese broccoli offer other elements of texture, sweetness and bitterness. The beef as always super tender (could not make tender at home). We heard baking soda is added to the beef to make it super tender, this can not be confirmed, but I believe it. Another successful meal at HKE and if you visit, you will probably see one of the BMH clan there.